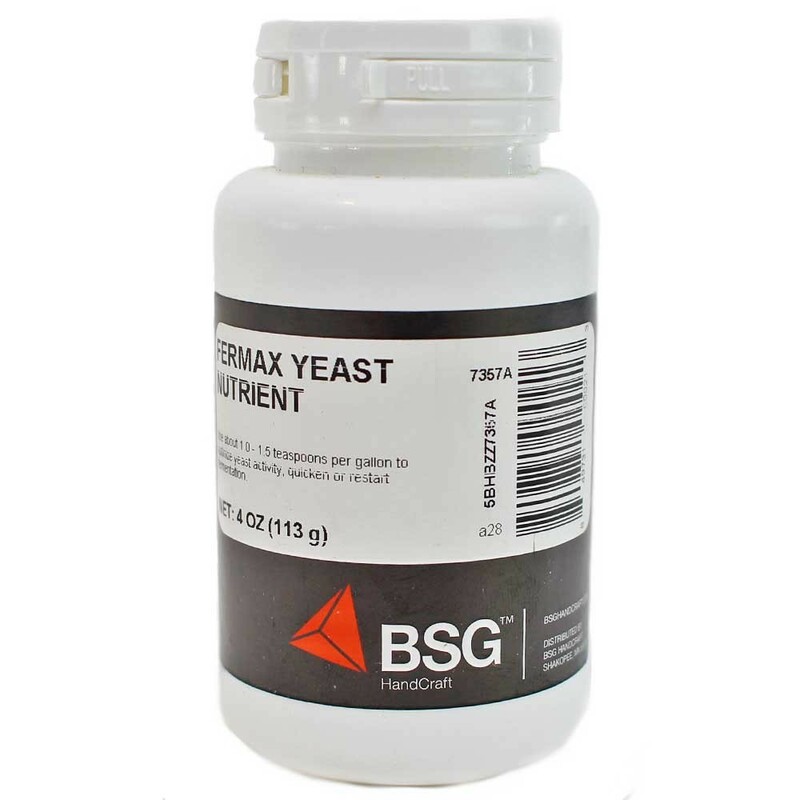 Fermax Yeast Nutrient - 4 oz. - Texas Brewing Inc.
Fermax Yeast Nutrient - 4 oz. Fermax Yeast Nutrient gives nourishment to yeast so it stays healthy throughout the fermentation process. Used in brewing to produce healthy yeast for a complete fermentation. Suggested Usage: Use 1 teaspoon per gallon prior to fermentation beginning. Fermax Yeast Nutrient - 1 lb. Fermax Yeast Nutrient - 5 lbs.